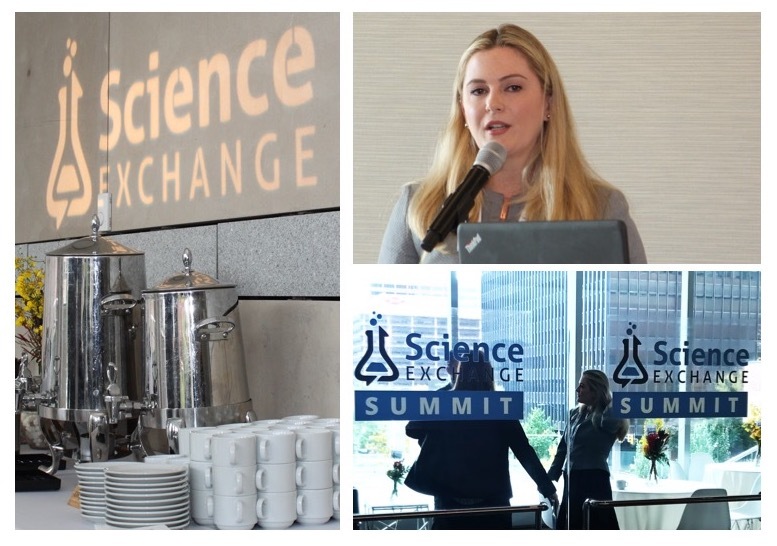 Science Exchange recently hosted a group of procurement executives from multiple industries for our 2017 Science Exchange Outsourced R&D Leadership Summit. During the informative and interactive sessions, we discussed both the challenges and opportunities that organizations are facing as they seek to effectively manage outsourced R&D services. Procurement leaders can drive innovation, with the right tools. A pharmaceutical company procurement leader responsible for driving innovation shared that, in less than six months of working with Science Exchange, they had been able to increase their use of new, niche service providers by 11%. Innovation can be hampered by complex processes. Natalie Foote, our Director of Service Provider Operations, presented with two of our service providers — iSpecimen and LabNetwork, a WuXi AppTec company– about new technology integrations with our platform. These integrations allow Science Exchange users to access the iSpecimen and LabNetwork marketplaces through a seamless access point on our platform — no barriers to innovation! Flexible, agile procurement support helps drive innovation. During a panel discussion that I moderated, procurement leaders from three global pharmaceutical companies examined the need to more flexible and agile when it comes to managing R&D requests, and supporting the R&D business through an end-to-end process. They also discussed how their organizations must strategically examine the best mix of internal and external capabilities, core strengths and capacity when it comes to maximizing R&D innovation. Proactively mitigate risk. During the panel discussion, procurement leaders talked about the need to move beyond a “paper exercise” for managing risk, to a more proactive and rigorous approach to protecting their companies from data and security breaches and business continuity issues. One panelist discussed the drive for holding the business accountable for third-party risk oversight on a global scale, to move beyond that “check the box” mentality. Balance risk and innovation opportunity. Another panelist emphasized how important it is to strike the delicate balance between managing risk and enabling innovation, to ensure that businesses are protected without slowing down or blocking important scientific discoveries. Ask the right questions to assess risk. Our Director of Contracts & Compliance, Andrew Gutierrez, highlighted the need to ask the right questions in developing contracts and programs that will protect a company’s confidentiality and IP.He also talked about the need to verify how your data is being protected by your partners to ensure compliance with global regulations. 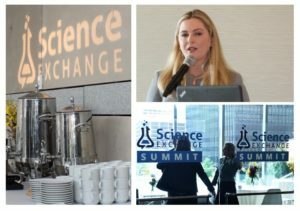 The Science Exchange Summit gave our entire team an opportunity to deepen our understanding of the needs of global procurement leaders, and our attendees gained insights to bring back to their own organizations, and a network of experts to collaborate with in the future. I look forward to continuing these discussions with our customers so we can continue to learn from one another and accelerate scientific discovery! Learn more about how Science Exchange can help you — request a demo today.